WASHINGTON, DC -- It is being characterized as an incursion and not an invasion at this point, but whatever you want to call it, one thing is for sure: the Russians are coming. 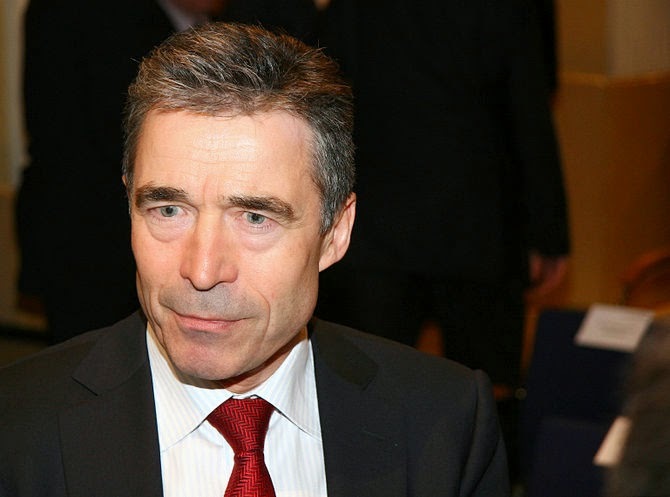 Anders Fogh Rasmussen, Secretary General of NATO. Just days ago, NATO Secretary General Anders Fogh Rasmussen warned that a Russian invasion of Ukraine was a “high probability” and that it would take place under the guise of a “humanitarian operation. On Tuesday, Russia dispatched 280 trucks that they claimed were carrying humanitarian aid to eastern Ukraine. Putin claimed that the convoy was part of an agreement with the Ukrainian government and the International Red Cross, but the Red Cross itself was surprised as they only learned of the aid transfer from news reports. Today, Ukraine said its artillery destroyed part of a Russian armored column that entered its territory overnight and said its forces came under shellfire from Russia. As per usual, Russia’s government has denied that its forces are in Ukraine, calling the report “some kind of fantasy” and sabotage to prevent aid from getting to pro-Russian backed separtists in Ukraine. But NATO confirmed that it had seen the incursion as well. Appropriate actions were undertaken and a part of it no longer exists,” Lysenko said. What’s more, we know that Russia has continued to increase its military presence along the Ukrainian border since they illegally annexed Crimea months ago. There are an estimated 40,000 Russian troops deployed along Ukraine’s east border. As of this writing, the caravan of 280 aid-carrying trucks is parked on the Russian side of the border and the Red Cross has said that it would deliver the aid itself. Despite continual protestations from the Russians that they have not sent any military column into Ukrainian territory, we know better than to trust them – or any statement the Defense Ministry puts out. Putin has offered aid before. He did so to Crimea back in March and we all saw how that turned out. It follows that any reading of the current scenario as anything but an escalation of the conflict between Russia and Ukraine completely misses the point. Putin is a smooth operator and a brilliant tactician. Anything that could be seen as a positive step towards peace, must be reevaluated through deeply skeptical eyes. Peace is of no interest to Putin. It’s not in his nature to like calm. To his mind, calm is the same as defeat and he will never accept defeat. Where's the proof? I've been hearing hysterics about this for the last 2 days. If the media was there where's the pics and vids? Seems it never really happened.